JCity Theater is Back with “Jersey Shorts”! 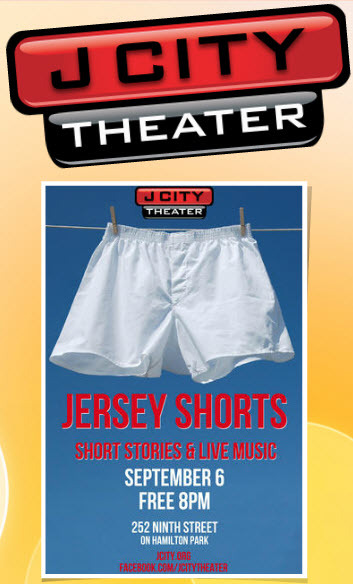 Join the community at at JCity Theater‘s famous “Jersey Shorts,” a great night of story telling and live music. Lovely, intimate setting. Grab some wine and enjoy the evening! This is a free event so there’s no reason not to join in the fun!